Easter Island, or as it is also called Rapa Nui, is one of the destinations worth visiting if you want to experience one exotic vacation full of mystery, fantastic views and unique activities. Most likely you’ve already heard of the strange stone heads of this Polynesian island in the southeast Pacific. They are one of the ancient monuments that inspire the imagination of many people from all over the world. Therefore, it is not a coincidence that the island is one of the cultural heritages of UNESCO. 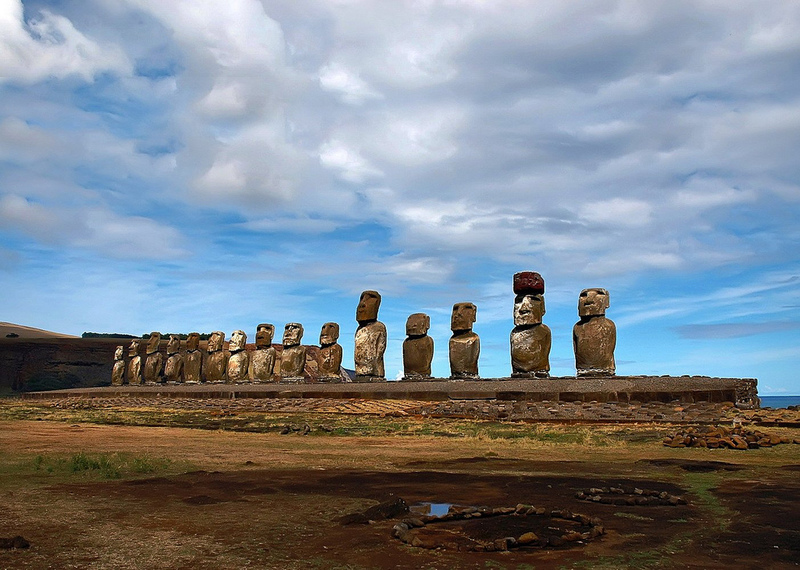 Besides the famous statues which are called Moai, this place has other interesting things which you can see during your holiday. And don’t worry if you think that you will have many troubles to reach the island. It is not isolated place like many tourists think and you can easy visit it by plane from Chile and Tahiti. 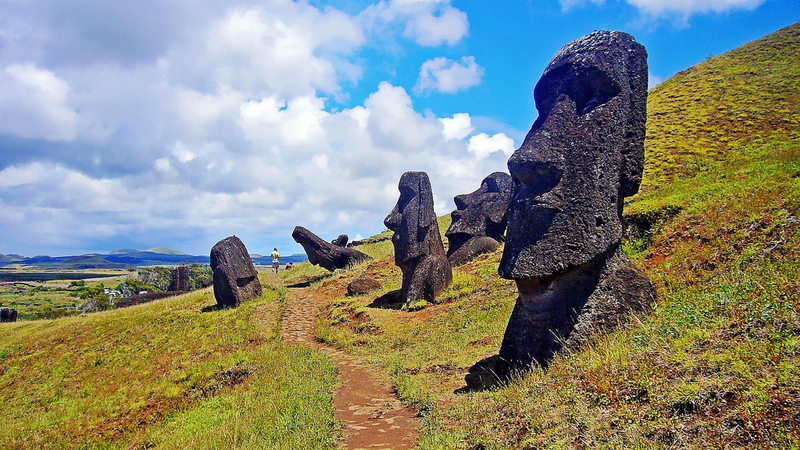 Of course, the stone statues are the main attraction and reason for your trip to the island. There are 887 stone statues dating from 1100 to 1680 AD. Although they are often called “stone heads”, most of the monuments have torsos. Several of them are completed and depict figures that stand on their knees. The statues can be seen in various places around the island and are truly legendary enigma, unique with its shape and causing astonishment. Due to the location of Easter Island, there is always an element of wind, but generally the destination offers a wonderful climate to all tourists. The best time to visit the beautiful place is from November until February. Good news is the fact that there are not any hurricanes and cyclones, so you can rest assured that everything is going to be perfect during your pleasant vacation. Well, if you don’t have time to plan your trip during the months above, then you can visit Easter Island during the whole year, but the beach won’t be so comfortable for getting amazing tan. The fact that the island is a tropical paradise is just another reason to visit it. The beaches are ideal, as taken from a postcard. The waters around them are crystal clear and the sand is silky soft and fine. There are many beautiful palm trees and inspiring views that make the island perfect for honeymoon and romantic vacation. Like most Polynesians people, the local inhabitants are very friendly and welcoming. You will feel their positive attitude and willingness to share the beauty of the island with you almost immediately after your arrival. Be sure that you will be treated with the needed attention and the magic of the place will never remain uncovered for your eyes. Easter Island is a place which offers to its visitors unique atmosphere, ancient mystery and incredible customer service. It is not crowded like the rest of the exotic destinations in the world, a fact that will make your trip even more pleasant and relaxing for sure.